The Iuse IUM1 Portable 3D Printer is capable of stable quality 3D printing with a stable print plate. This mini printer adopts an FDM principle. 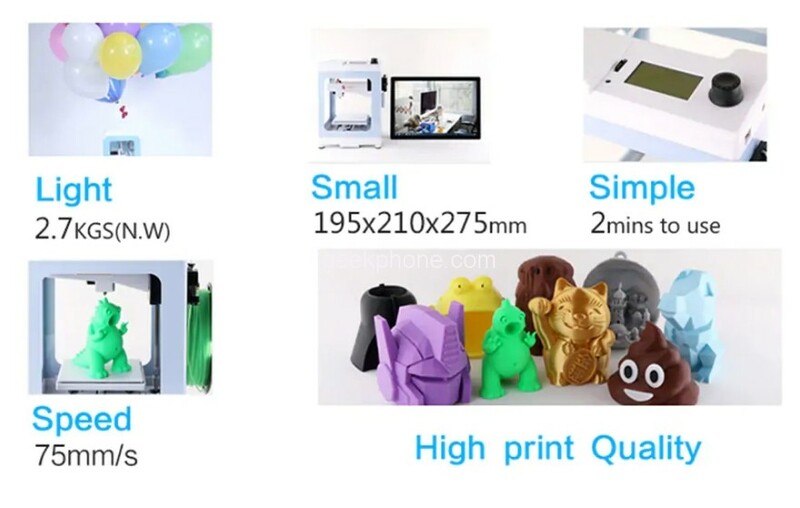 Its mini size allows you to enjoy 3D printing everywhere and at any time. Easy to use, lightweight, comes with a USB cable and is ideal for kids, novices, teachers. 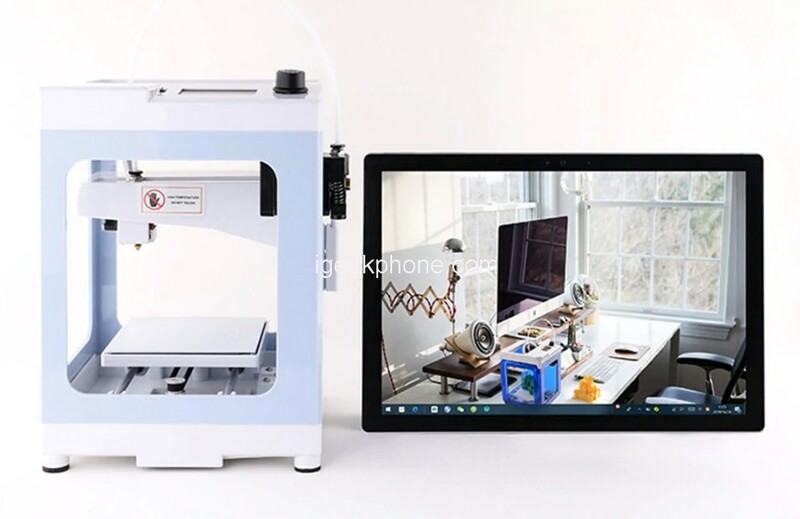 Iuse IUM1 Portable 3D printer with the half-opened and box-type design. 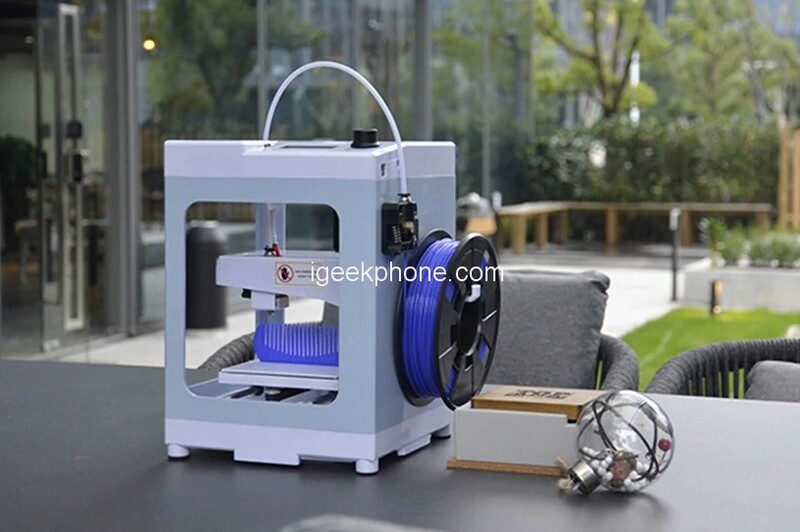 The Iuse IUM1 Portable 3D Printer is capable of professional quality 3D printing with a fine layer resolution. The rigid all-metal frame design results in a stable print platform, which allows for print speeds up to 75mm/sec. The printer has a heated build plate and can, therefore, print PLA, ABS, PVA, HIPS, and other popular filament types. Designed exclusively with localized power supplies and plugs to fit the country of use, no additional adapters are necessary to plug in the printer in the UK or in any European country. The geared, anti-jam feeder is designed to reliably feed filament, so you won’t have a long print job ruined by a failure to feed the extruder with the filament. It is compatible with computers running Microsoft Windows, Mac OS. It can print code files from a computer using a USB connection or from an SD card. Easy to install filament cartridges available in 13 vivid colors. The non-heated printing tray ensures safe operation and allows it to be used at home, in offices, and schools. Print only with non-toxic PLA material. The PLA filaments are derived from natural materials, such as sugarcane and cornstarch, and has gone through various tests to ensure that it is DEHP-free and Heavy Metal-free.